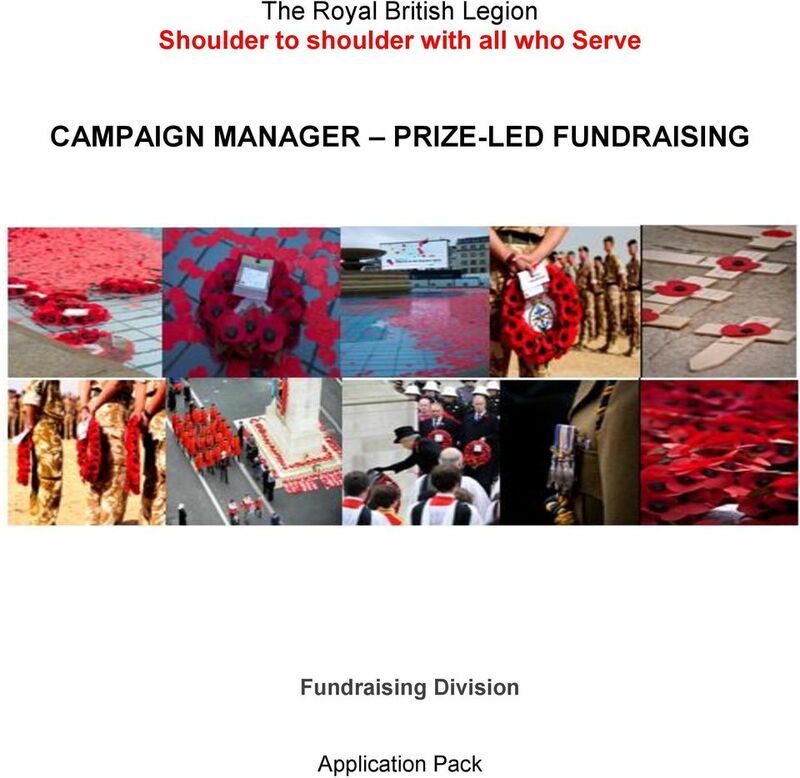 Download "CAMPAIGN MANAGER PRIZE-LED FUNDRAISING"
2 TH ROYAL BRITISH LGION JOB DSCRIPTION Job Title: Responsible to: Campaign Manager Prize-led Fundraising Head of Prize-led Fundraising Role Purpose: To be responsible for the strategic delivery and day to day management of The Royal British Legion s range of prize-led fundraising campaigns. To manage the recruitment and development of raffle and lottery supporters and donors. Assist the growth of short term and long term income to secure the future welfare programmes of the charity. 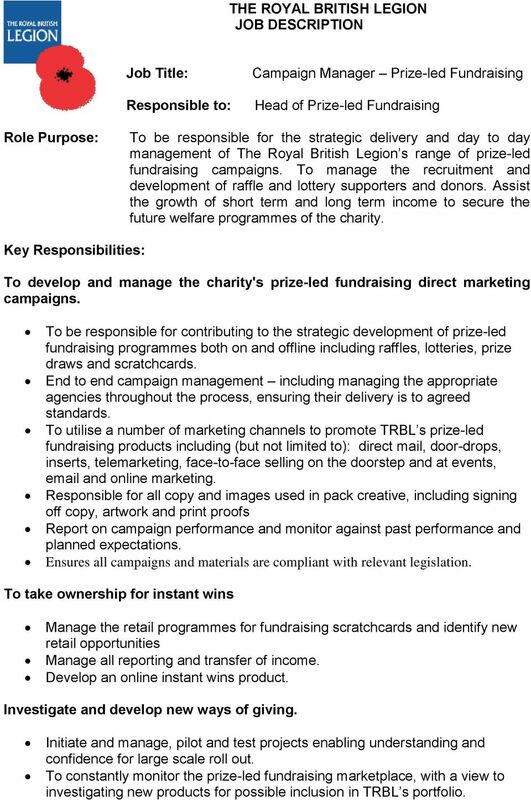 Key Responsibilities: To develop and manage the charity's prize-led fundraising direct marketing campaigns. To be responsible for contributing to the strategic development of prize-led fundraising programmes both on and offline including raffles, lotteries, prize draws and scratchcards. nd to end campaign management including managing the appropriate agencies throughout the process, ensuring their delivery is to agreed standards. To utilise a number of marketing channels to promote TRBL s prize-led fundraising products including (but not limited to): direct mail, door-drops, inserts, telemarketing, face-to-face selling on the doorstep and at events, and online marketing. Responsible for all copy and images used in pack creative, including signing off copy, artwork and print proofs Report on campaign performance and monitor against past performance and planned expectations. nsures all campaigns and materials are compliant with relevant legislation. To take ownership for instant wins Manage the retail programmes for fundraising scratchcards and identify new retail opportunities Manage all reporting and transfer of income. Develop an online instant wins product. Investigate and develop new ways of giving. Initiate and manage, pilot and test projects enabling understanding and confidence for large scale roll out. To constantly monitor the prize-led fundraising marketplace, with a view to investigating new products for possible inclusion in TRBL s portfolio. 3 Draft budgets and maintain expenditure control of projects. Responsible for producing annual and campaign budgets for scratchcards and other game based fundraising initiatives. Set and continuously review campaign targets, manage campaign budgets and authorise all campaign invoices. nsure the financial returns from campaigns are maximised and that costs are minimised. Monitor income and expenditure against forecasts and take corrective action to reduce the impact of any deviances. Manage digital aspects Work with internal and external suppliers to develop and manage the prizeled fundraising webpages and associated online entry forms and functionality. Manage and develop marketing programmes. Be responsible for ensuring all information, copy and images are accurate and up to date, identify and fix any snags, and drive traffic to the site. Develop initiatives to grow online sales. Manage external operations Manage the xternal Lottery Managers where applicable (external suppliers) and ensure that all lotteries are correctly operated and administered. Develop a detailed understanding of the Gambling Act 2005 in relation to society lotteries and ensure that all aspects of our lotteries are compliant with legislation and licensing. Produce accurate lottery draw submissions for The Gambling Commission and work with external auditors. Manage and develop fulfilment processes and materials. Develop the quality of data held and maximise giving from existing supporters Implement and develop supporter segmentation and communications programmes. Be responsible for briefing data selections for direct marketing activity, including all segmentation and prompting strategies where applicable. Carry out detailed post campaign analysis on allcampaigns and provide detailed recommendations for future activity. Implement and develop supporter segmentation and communications programmes. 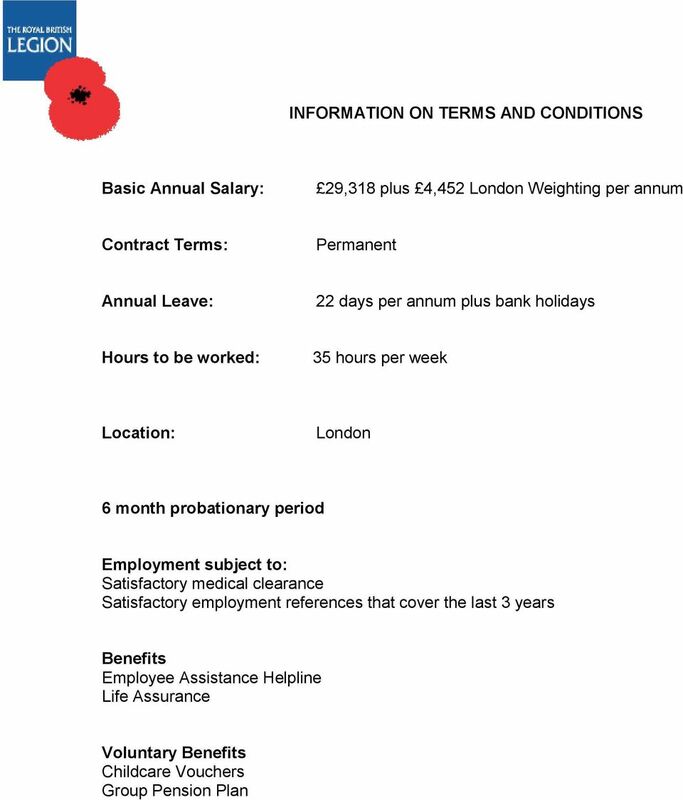 Work with external suppliers to focus on delivery for The Royal British Legion With support from the Lotteries Marketing Manager, select suppliers based on capability and value for money. Build relationships with long term and ensure they perform to agreed service levels. 4 General Aspects Liaise with the Charity s senior staff and volunteers where appropriate, to ensure support for fundraising appeals, including occasional travel to locations around the country. Report and present results and finding to professional, volunteer and supporter audiences. This job description reflects the current requirements of the role. As duties and responsibilities change and develop, this will be reviewed and will be subject to amendment in consultation with the post-holder. GNRAL To implement the qual Opportunities policy into daily activities wherever possible. 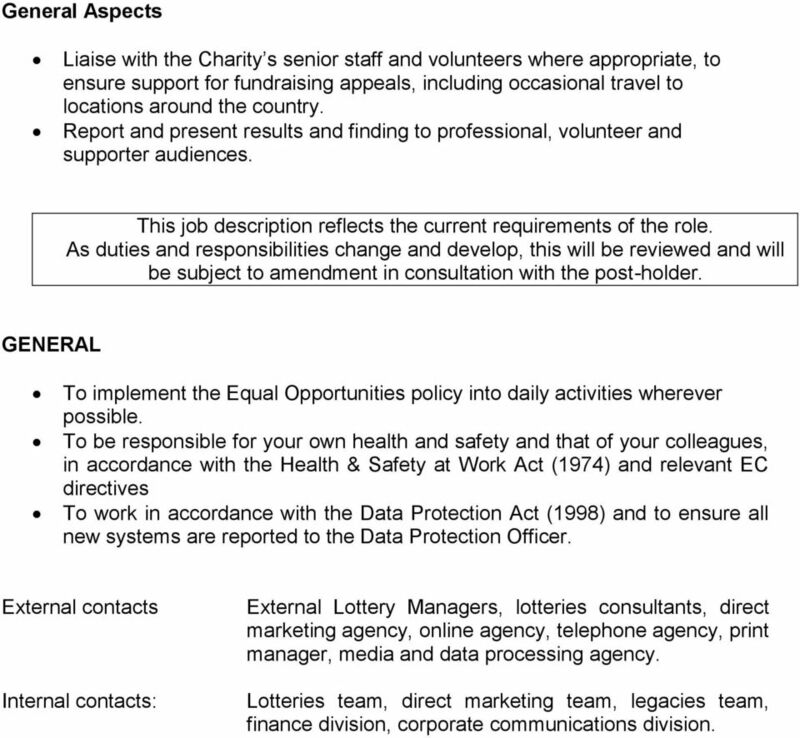 To be responsible for your own health and safety and that of your colleagues, in accordance with the Health & Safety at Work Act (1974) and relevant C directives To work in accordance with the Data Protection Act (1998) and to ensure all new systems are reported to the Data Protection Officer. xternal contacts Internal contacts: xternal Lottery Managers, lotteries consultants, direct marketing agency, online agency, telephone agency, print manager, media and data processing agency. Lotteries team, direct marketing team, legacies team, finance division, corporate communications division. 5 CRITRIA QUALIFICATIONS Good standard of general education, to degree standard or equivalent Advanced Marketing qualification CIM/IDM or equivalent XPRINC & KNOWLDG Significant experience in direct marketing including, direct mail, door drops, product dispatch / press / magazine inserts. ffective management of suppliers delivering big budget projects. Significant evidence of effective budget management and planning experience. SSNTIAL/ DSIRABL D HOW TO B MASURD Application/Certificates Application/Certificates Strong technical print knowledge Project leadership experience. xperience of analysing results and using insight to develop strategic direction. 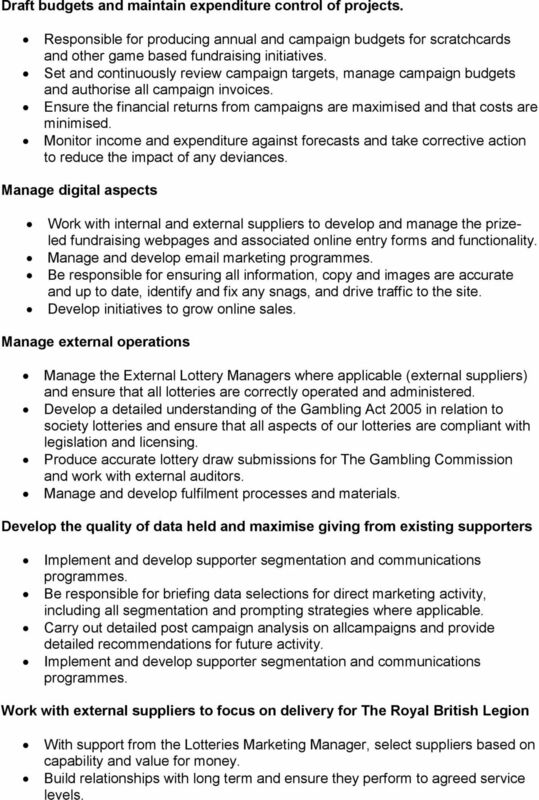 Thorough understanding of gambling licence requirements Knowledge of business to consumer marketing, preferably in the charity sector. 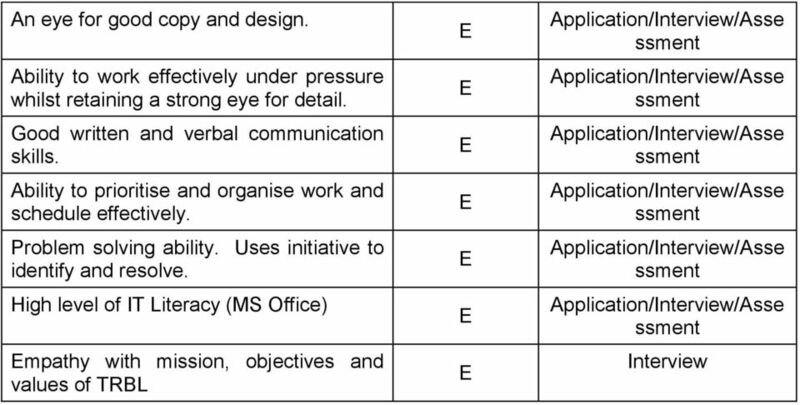 COMPTNCIS D D Interview ffective Communications (Level 2) Interview Relationship Building (Level 2) Interview Results Focus (Level 2) Interview Planning and organisation (Level 2) Interview Commercial Awareness (Level 2) Interview SKILLS & ATTRIBUTS Good analytical skills. Able to analyse complex data to a high level of accuracy, utilising spreadsheets and produce reports in a clear and precise format. Highly numerate. Able to accurately produce budgets and model results. Direct Marketing Officer Recruitment Pack About Us CBM UK CBM is the largest charity dedicated to disability work in the world s poorest countries, supporting around 30 million people globally each year. JOB DESCRIPTION. Senior Donor Acquisition Executive. Fundraising, Marketing and Communications. Featherstone Street, London EC1Y 8SL. For any enquiries about the role, please contact Yani Ferdinandus, DM Manager on: 02 9007 0238. SENIOR CONTRACTS MANAGER. 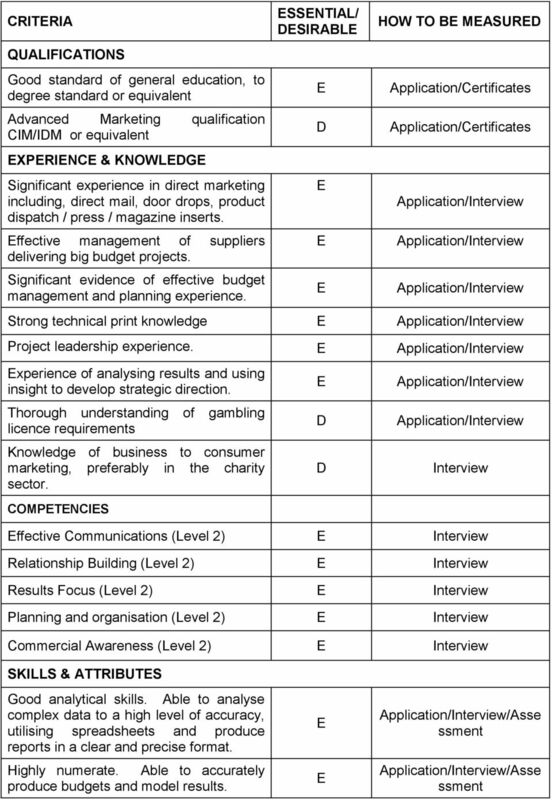 Applications are invited for the position of Senior Contracts Manager for UCL Consultants Ltd. The role shall also be responsible for bringing innovative techniques to ensure deepening and more relevant relationships with donors. Application Pack. E-Commerce and Business Development Executive. Westminster Abbey Enterprises Ltd. June 2015 WESTMINSTER-ABBEY.